There has been a lot of talk about the use of Medicinal Cannabis recently. Here is some more information from the Australian Pharmacist 2018. Cannabis is a plant used in Australia for recreational and medicinal use, with a reported one-third of all Australians aged 22 or older (33.5%, about 5.8 million) having tried cannabis and 1 million using it in the past year. It is estimated that 750,000 Australians use cannabis every week, and approximately 300,000 smoke it on a daily basis . A recent study published early this year found cannabidiol was effective for treating epilepsy with minimum side effects. There are various formulations of cannabis available in the market. Cannabis can be administered topically, orally or sublingually, it can be smoked, inhaled or consumed with food or taken as a tea. It can also be taken as a plant extract or manufactured synthetically. The cannabis plant contains 80 to 100 cannabinoids. The one that gets people high is called tetrahydrocannabinol (THC). Other cannabinoids have been shown to relieve symptoms of disease. International research is looking at the therapeutic properties of some of the other cannabinoids. Endocannabinoids seem to control muscle tone, mood, pain, appetite and inflammation. They are released in injured tissue and help to reduce pain. World Health Organisation (WHO) report suggested CBD oil could be used to treat anxiety and depression thanks to its soothing effects. In it they said there was “reduced social anxiety in patients” and an “anti-depressant effect” for depression. The report suggests a number of illnesses and ailments in which CBD could provide relief including nausea, diabetic complications, Alzheimer’s disease, multiple sclerosis, pain, cancer, psychosis, Crohn’s disease and cardiovascular disease. 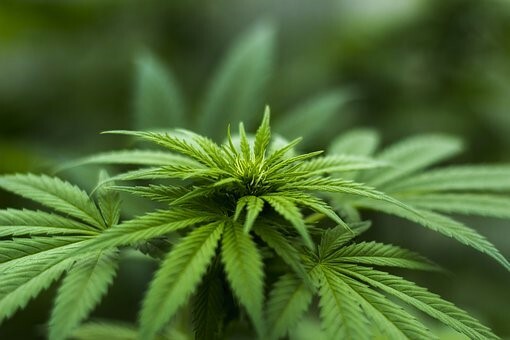 The Australian government Department of health appointed a team to investigate the clinical evidence for using medicinal cannabis. Most studies looked at showed improvement in symptoms of the various conditions but unfortunately did not reach statistical significance. There is currently one medicinal cannabis product available in Australia, SATIVEX (Nabiximole), available under SAS (Special Acess Scheme). It is approved only for severe spasticity due to Multiple Sclerosis which did not respond to other treatment. Australia’s Therapeutic Goods Administration (TGA) regulates the supply of medicinal cannabis. Doctors can apply to the TGA to supply medicinal cannabis to certain patients through the Authorised Prescriber Scheme and the Special Access Scheme. Patients may be able to access medicinal cannabis through a specialist doctor, their GP, or if they are taking part in a clinical trial. You cannot apply to the TGA to get medicinal cannabis yourself; only your doctor can apply. The doctor must meet certain requirements, must obtain permits, and must also comply with relevant state laws. However, the laws are different in each state and this may affect whether you can get access to medicinal cannabis.